and sentence under Section 7 of the Act. 3. The prosecution case stems from a complaint laid by one S.
complaint disclosed that on negotiation, the demand was scaled down to Rs. expired prior thereto, he could not be examined by the prosecution. of imprisonment were, however, ordered to run concurrently. if allowed to stand, would result in travesty of justice. 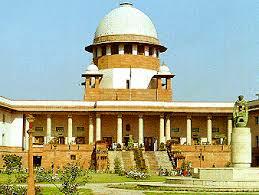 vs. State of Andhra Pradesh (2014) 13 SCC 55. S. Udaya Bhasker and PW3-G. Sudhakar. challan of Rs. 360/-, being Rs. 60 as renewal fee and Rs. 300 as penalty. Corruption Bureau, Kurnool and sought action against the appellant. intercepted and apprehended with the money accepted by him. pink when rinsed in sodium carbonate solution. appellant in Room No. 68, Meenakshi Lodge,Kurnool at 8.30 P.M.
the appellant had been charged. was emphasized, could follow only if there was proof of demand. presumption under Section 20 of the Act would also not arise. sufficient to bring home the charge under these two sections of the Act. would not entail his conviction thereunder. appellant has been proved beyond reasonable doubt. accepted the verdict and has not preferred any appeal against the same. indispensability of the proof of demand of illegal gratification. plausible, then the benefit of doubt must be given to the accused. stands discharged. Original record be sent back immediately.